The later die state, the 104a, is rather scarce, but also boasts the finest of the die marriage at MS66. Other than that this marriage appears frequently for sale. PCGS Graded XF45. Golden Green and Olive Drab toning on this, with decent luster and originality. 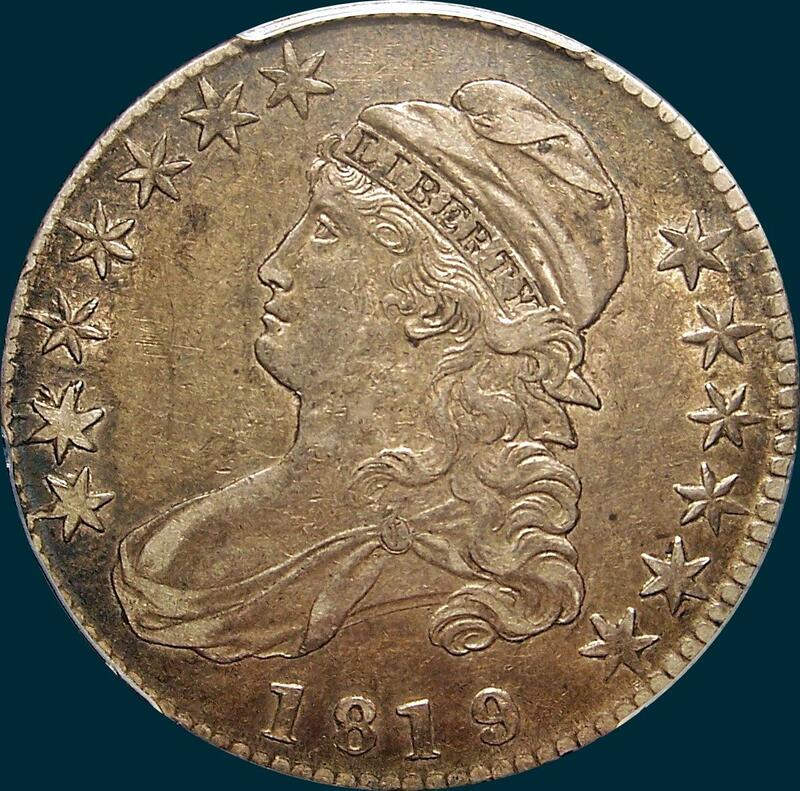 Variety Attribution: Obverse- 1819 over 18, Large 9. Star 2 is recut with bold extra points. Star 4 also recut but not nearly so much. Date is 9 3/4 mm. with the broad 9 previously described. Reverse- 50 C. is 2 3/4 mm. Arrow to A is 3/4 mm. Right sides of T-I are in line. No sign of upper left serifs on E's. O-104a: Die crack from edge below 0 in 50C. 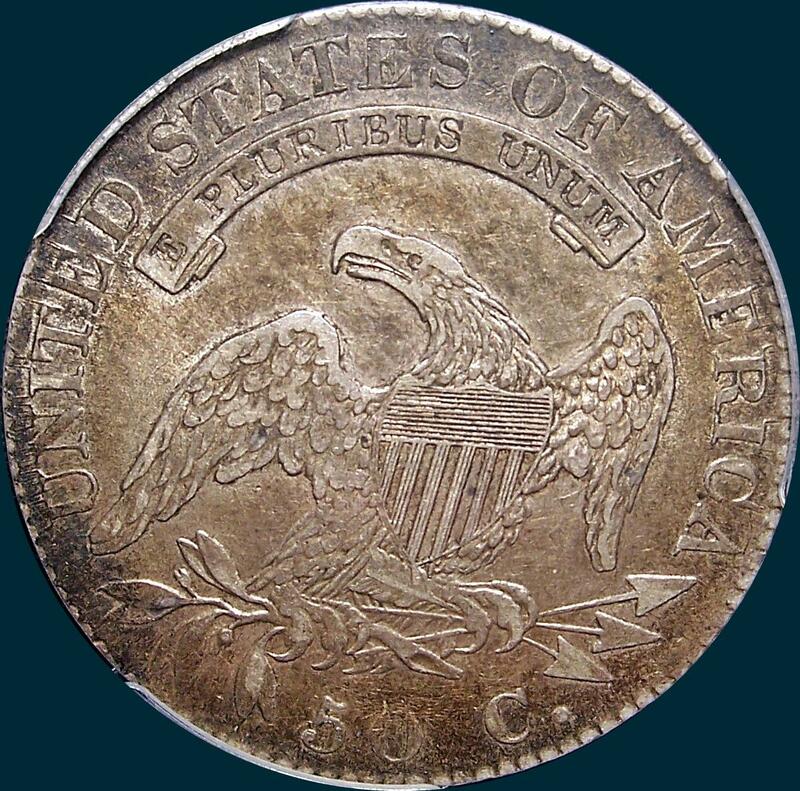 which extends through center of C across arrowheads into field across tip of right wing through end of motto, out motto at second U in PLURIBUS below E through TA. Second crack from edge though lower pairs of olive leaves, tips of claws, arrow feathers to below olive branch.